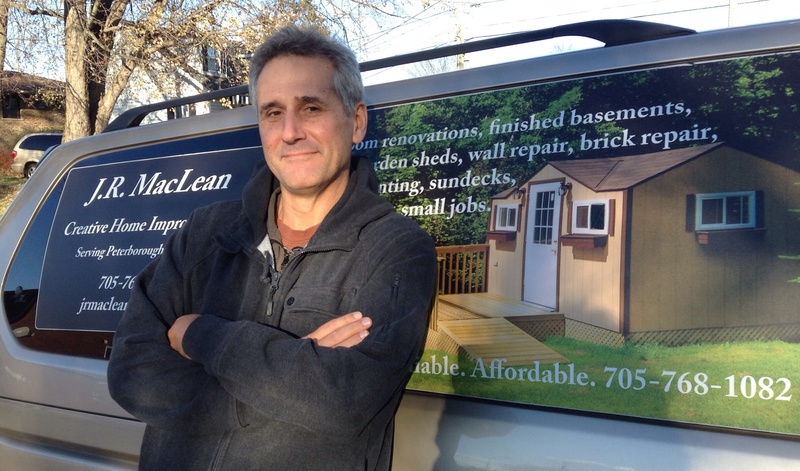 Welcome to Roots and Wings Home Improvements, a one-man home improvement company run by J.R. MacLean. We have been serving Peterborough through Roots and Wings since 1994, with another fifteen years worth of experience in the construction and home improvement trades before that. Our mandate is to provide reliable, affordable, high quality services that will improve the quality of life in your home. We specialize in in finishing basements and renovating bathrooms. We also do ceramic tile, laminate flooring, drywall repair, stucco removal, sundecks, trimwork, and minor plumbing and electrical jobs. Small jobs are welcome. For some samples of our work, please visit the Our Work section of the website. For more information, I can be reached at jrmaclean@icloud.com or phone or text 705-768-1082.